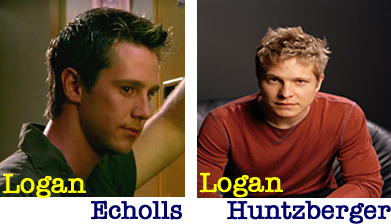 Logan Echolls and Logan Huntzberger. TV's two best Logans :). Wallpaper and background images in the টেলিভিশন club tagged: logan echolls logan huntzberger veronica mars gilmore girls television image.